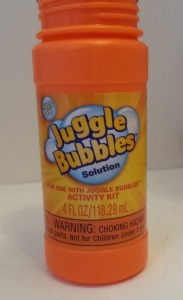 Okay, so your kids like the Juggle Bubbles kit and want to make more bubbles, but the refills cost more than $7 a pop. Fortunately, I was able to locate some online solutions for homemade Juggle Bubbles recipes that helped me come up with my own concoction. 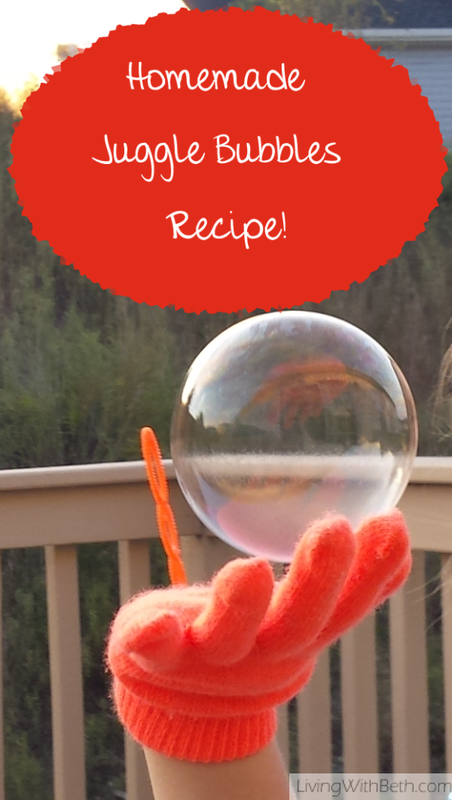 making bubbles with your kids! The glycerin makes stronger bubbles than corn syrup. However, glycerin is more expensive to buy, and you probably already have some Karo corn syrup in your pantry. Likewise, the blue Dawn liquid dish detergent works best, but you can probably substitute almost any decent liquid dish detergent (but not the kind that you’d put in a dishwasher). 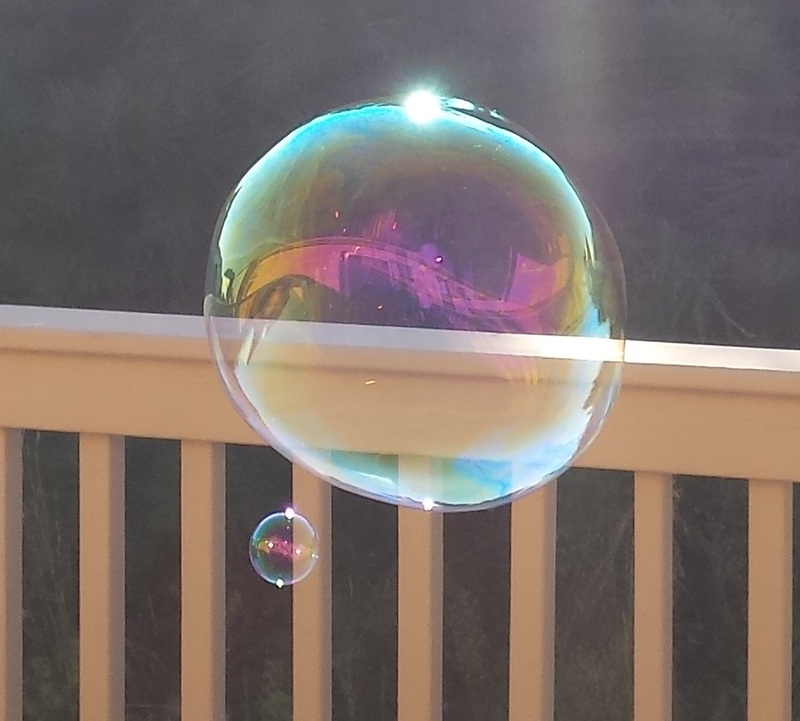 We used Ajax and Dawn, and noticed that the Dawn bubbles performed better. 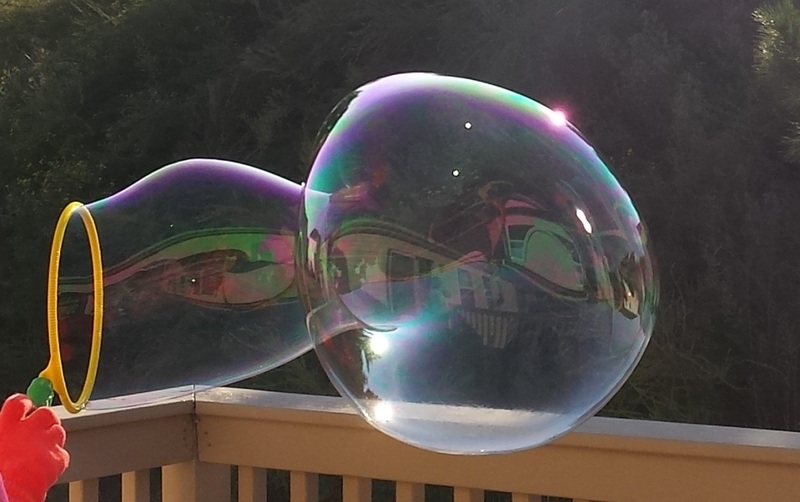 You’ll want to limit making Juggle Bubbles to outdoors. 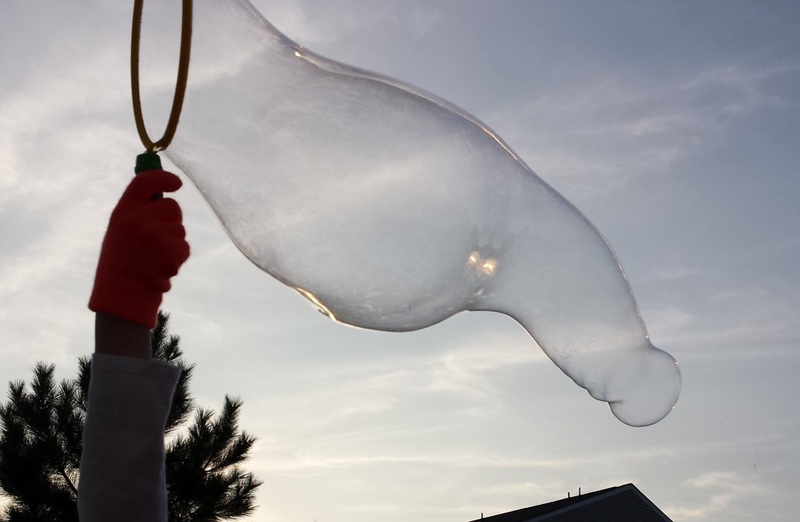 Bubbles in general tend to make a mess, and the the homemade Juggle Bubbles recipe with corn syrup may leave a sticky film where they land. We made our bubbles out on the deck, where rainwater washed away the stickies a few days later. I want to thank GigglesnLaundry.com and RealMomsOfVegas.com for their homemade Juggle Bubbles recipes, which I used to come up with my own Juggle juice. This home brew bubble mix not only makes a decent substitution for the genuine Juggle Bubbles mix, but it works extremely well with bubble wands meant to make giant bubbles. 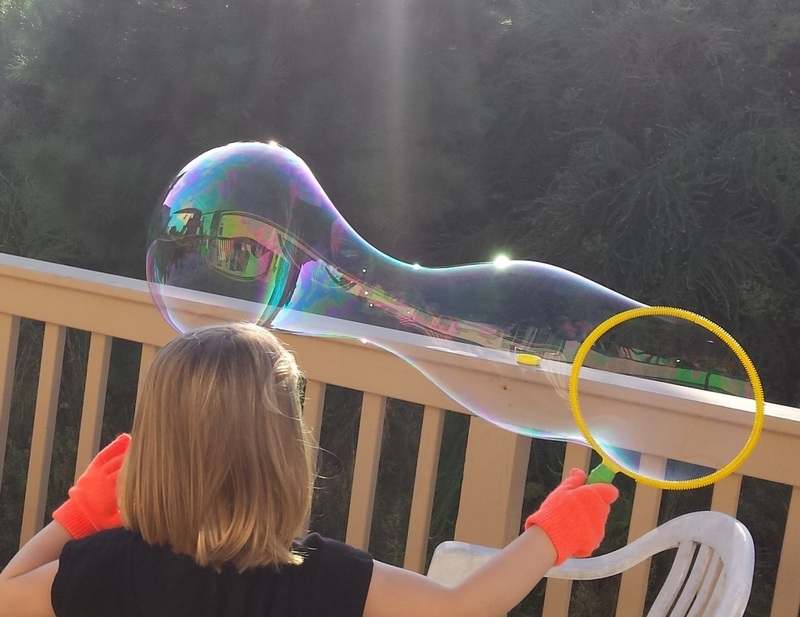 We’d normally use regular bubble solution with the wands, but the ones made with the homemade Juggle Bubbles solution turned out extra strong and floated around longer than normal bubbles. If you enjoyed this article, could you please click here to give it a G+1?